The nonprofit organization ReCivitas distributed a basic income to residents of the Brazilian village Quatinga Velho from 2008 to 2014. In January 2016, ReCivitas launched a new initiative, Basic Income Startup, which aspires to resume the Quatinga Velho basic income payments and make them lifelong. A new initiative, the Basic Income Projects Network, aims to bring together other nongovernmental organizations that wish to start their own privately-funded basic income pilots. The ReCivitas Institute is an NGO founded in 2006 that works to apply factual guarantees to human rights in independent public policies. 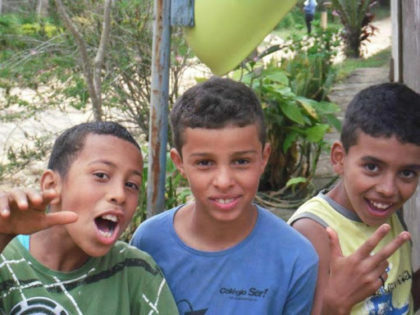 Since 2008, we have developed and sustained the Unconditional Basic Income pilot project in Quatinga Velho, Brazil, which is an internationally recognized project in Basic Income studies and research. As of January 16th, 2016, Basic Income payments are now permanent, and no longer just a part of an experiment. For 14 people the Unconditional Basic Income has started to be for a lifetime. Now, with our enhanced peer-to-peer model, they also contribute, according to their ability to do so, to these payments. The project is now called BASIC INCOME STARTUP, because for every 1,000 Euros donated, for no additional cost, a new person that lives anywhere that 40 Reais can make a difference (that is, a person that really needs that money) will start to receive the lifetime basic income. And it bears emphasizing: for every 1,000 Euros that are donated, RECIVITAS will remove one person from the most abject conditions of primitive deprivation — the kinds of conditions that every Basic Income activist should never forget actually exists. This project was designed during our last trip to Europe in 2015, while we observed the inequality between refugees and European citizens. In Brazil, the Brazilian Network for Basic Income is being formed by local communities and independent institutions. The aim is to expand and replicate the model in the ghetto, forgotten places of the world, because poverty has a face and an address, therefore programs that fight poverty do not need focusing techniques or conditionalities, because the people who are in dire need of help already live in segregation. ReCivitas would like to use this rare opportunity to invite other projects and local communities that are paying, or wish to pay, a basic income, to join us and form the Basic Income Projects Network. 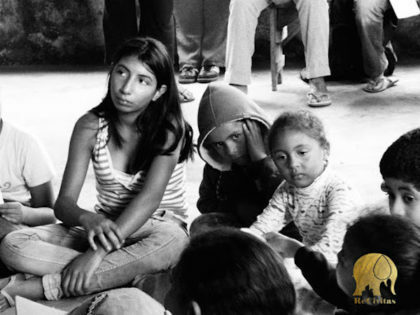 Through partnerships with local organizations, the Quatinga Velho model can be replicated in any community around the world, including ones with the same difficulties: with small amounts of their own capital, no governmental support or support by private corporations, and some amount of international solidarity and support. We have decided to propose this partnership, especially after the World Social Forum, for two reasons. First, because we have finally realized how much we have accumulated in shareable knowledge in these ten years— knowledge that must be shared with those who really want to accomplish things. Second, because we want to help in the construction of these new projects, especially the ones that are more open to those who really need them. For more information about the network, including the terms of the partnership for participating groups, please see the “Basic Income Project Network” page on the ReCivitas website.